The recent goings-on of a full-time commercial and editorial photographer who works in two very different genres: lifestyle and architectural. 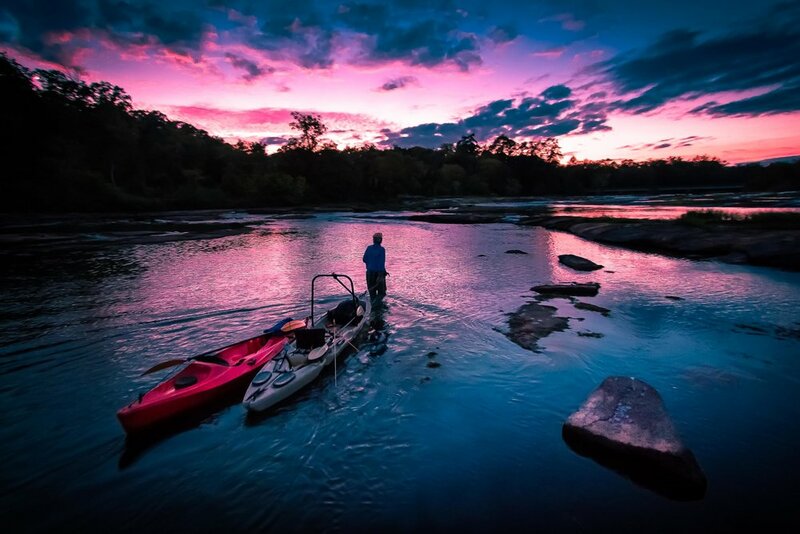 Kent Edmonds drags the kayaks back upstream after a grand day on the Flint River. I destroyed my knee in early-2010 in a glorious church-league basketball game. I was on a fast break and only had one guy to beat, and when I dropped a crossover on him, cutting from left to right, my left leg decided to just bend sideways for no good reason. ACL, check. MCL, check. Meniscus, check. My teammates thought I was joking because of the theatrical nature of my response, pounding on the floor and yelling something to the effect of, “OH THAT IS NOT GOOD!” When my first teammate made it over to me, he said, “What does it feel like?” “A $1,500 deductible,” I replied. He cracked up, also thinking I was hamming it up. My wife drove me to the hospital and, sure enough, I wasn’t joking. A few weeks later I had surgery and was laid up for about two weeks. During that time, I was supposed to shoot my first paying gig; a Sweet 16 party for a family from our church. I couldn’t make it, so my wife filled in. She’s naturally a better photographer than me, so it worked. After that, we started getting a lot of paid work locally. Families, sports, babies, senior portraits, you name it. Then we started getting calls about shooting weddings. We were both working full-time at our church and didn’t have kids at the time, so it seemed like a good chance to make some extra money. It didn’t take long for us to start getting weddings in surrounding states, Texas, even Mexico. It was great getting to be a part of so many different families’ most significant day in their life, but I can’t say that I ever really loved it. I never dreaded those shoots, but I don’t remember ever having trouble going to sleep the night before because I was so excited to do them, either. They were just, well, fine for me. We lived that life for about two years and decided we’d like to start growing our family. We had our first daughter, Shiloh, in October 2012. 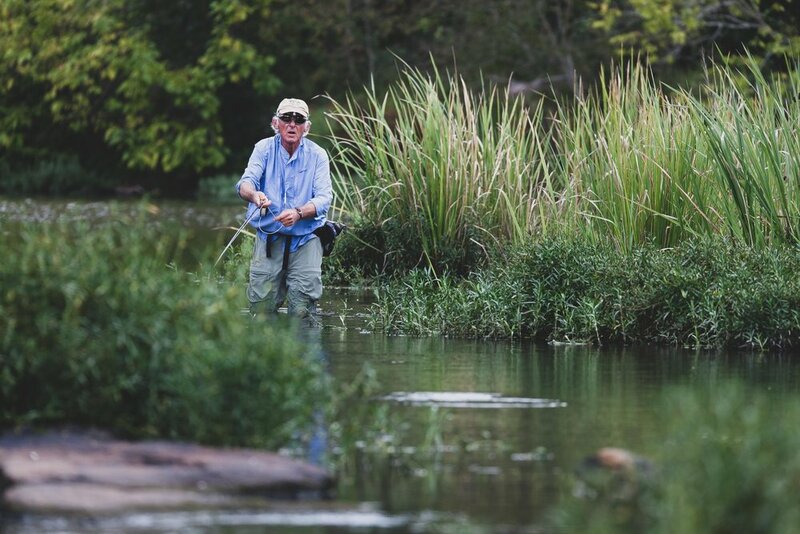 I was ordained as a pastor at our church that same year and took on more of a leadership role, so my camera was relegated to what got me into photography in the first place: fly fishing. It was around that time that I started intentionally planning sporting photo shoots. I’d pick a location, ask a friend/local expert to be my photo subject, make a detailed shot list, and go for it. One of the first ones that I did was on the incredible Flint River in Middle Georgia. It is such an amazing stretch of water. It starts life as a bubbling spring near the Delta maintenance hangar at the world’s busiest airport, Hartsfield-Jackson-Crosby-Stills-Nash International Airport in Atlanta, and winds its way southwest until it meets up with the Chattahoochee River at Lake Seminole on the Georgia-Alabama-Florida borders. My friend Kent Edmonds of Fly Fish GA let me tag along with him on a beautiful piece of the Flint, and what an amazing day it was. 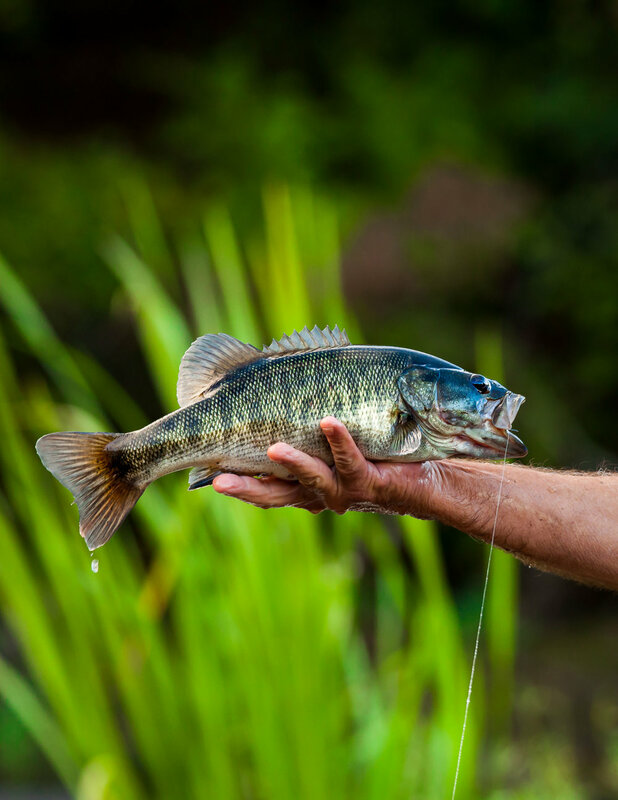 I was shooting photos and fishing, which I rarely do now (I do one or the other now, but rarely try to do both as I typically end up doing neither well), and I landed around 25-30 shoal bass and also had enough images to put together a full photo essay for Sporting Classics Magazine. That photo essay helped me to start learning how to really tell a story through a handful of images, and each and every time I have that type of shoot - which is several days a month now - I can’t sleep the night before. I just love it. Next time I’ll give the short version of how I started in commercial photography. Thanks for stopping by. 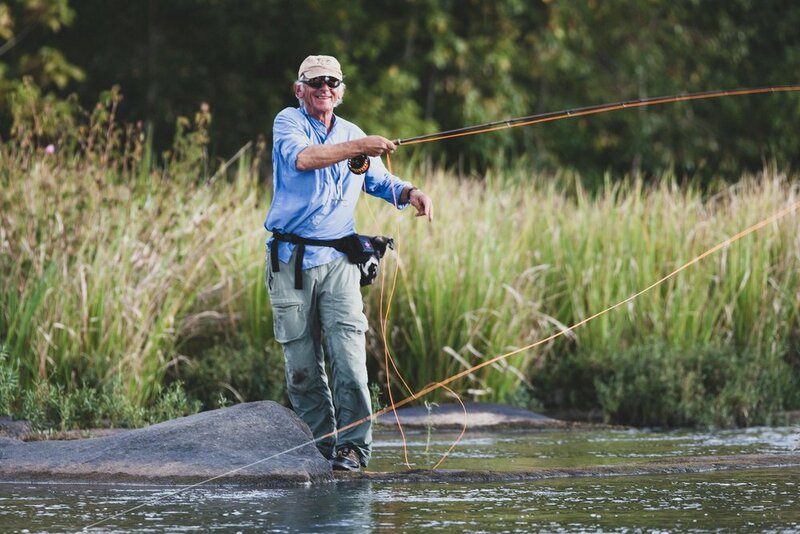 Kent Edmonds on the Flint River. Like many professional photographers out there, my journey to photography as a full-time living was an unintentional one. I had always loved photographs that I had seen while pouring over magazines covering sports, cars, woodworking, and fishing, and I had always had a curiosity as to how such images, which were so much better than what one would find in a family photo album or hanging in frames in the average person's home, could be so drastically better than what anyone I knew could produce. And while I often carried a cheap, disposable film camera with me on adventures, my curiosity hit a ceiling when I couldn't figure out why those disposables, which I now know were fixed aperture lenses at f/8 (a pretty boring aperture for many applications, but always a safe bet), couldn't produce a blurred background or dramatic depth or light. In 2008, at the age of 26, I was contracted to write my first book. I had worked in the publishing world for a few years and while working for a couple of magazine groups I had sold ads, handled layout and design, and written quite a bit of features, briefs, and a couple of regular monthly columns, which was just enough to convince my experienced publisher to take a risk and contract a guy in his 20s to tackle this project. The book layout was a big 8.5"x11" cut, 160 pages long, and had well over 200 photo holes to fill... And I couldn't really shoot a photo to save my life. One of my co-workers and friends at the Morris Sporting Group - a great family of magazines based in Augusta, GA, that publishes the legendary Gray's Sporting Journal, American Angler, and Fly Tyer Magazine - Chad McClure also happened to be a great photographer and was quickly convinced to partner with me for this project that would cover some three-dozen of Georgia's best fly-fishing waters. I would write the book, he would photograph it. But, since I had learned that editors were more likely to purchase freelance submissions that were a package of both the copy and the photographs, I asked Chad if he would also teach me photography while we produced the book. He agreed. And he was such a great teacher. He explained everything simply, and to see his results during those explanations made learning a breeze. In the fall of 2009, the book was released. In the years since then, Fly Fishing Georgia: A No Nonsense Guide to Top Waters has won Best Outdoor Book (Georgia Outdoor Writers Association, 2010) and is still on shelves around the South in places like Bass Pro Shops, the many great fly shops in and around Georgia, in Barnes & Noble stores, and many more local bookstores. I was so excited for the book to come out and the process of writing it was a work of passion for me, for sure. But by the end of that project, I had a new, stronger passion. Photography had become an obsession. I'm not at all ashamed to say that at the age of 26, my parents bought me my first DSLR. It was a Nikon D80 with the 28-80 kit lens. It was cheap, it was slow, it was bad in low-light, it didn't handle skin tones well... But it was awesome! I had been married for a couple of years, had a mortgage, a couple of jobs, etc., but my dad had nearly killed himself to close the biggest deal of his career and when he did, he came to Stephanie and me and said he wanted us to both pick out something we had wanted to get. And I love that it happened that way. His hard work, which had nothing to do with anything I had done, granted me the tools I needed to begin to learn and grow as a photographer. That's grace. And that's something I'm now hoping to be able to do for my daughters as they get older. I'm very thankful for that. Just a few months after receiving that gift, I sold my first cover image. 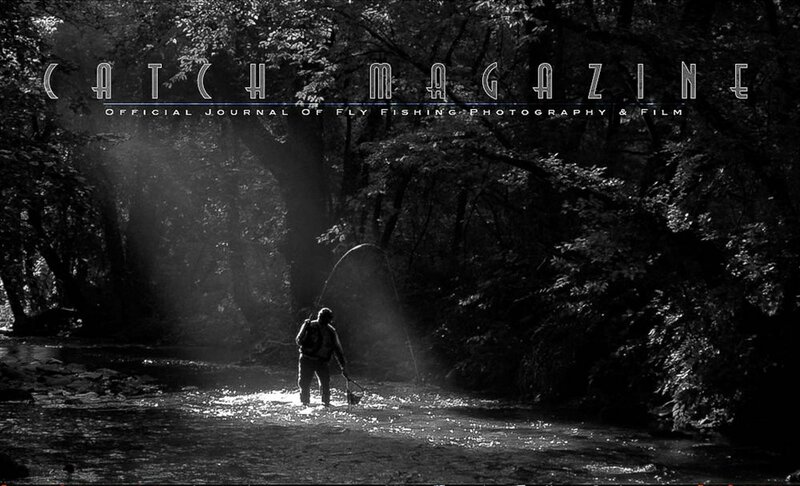 It was to CATCH Magazine, a beautiful photographic publication of fly fishing content. I remember Brian O'Keefe, a partner in that publication at the time, seeing that image and telling me he wanted to use it as the cover of their second edition. I couldn't believe it. Brian was and is an awesome photographer, and I couldn't believe he thought that much of something I had taken. Val Atkinson, one of the all-time-great outdoor photographers, had a photo essay on the inside... And I had the cover?? How did that happen? Apart from that image and just a small handful of others, I look back on my work from those days and I cringe. I made so many mistakes, and my post-processing was what you typically see from someone who is just learning how to edit an image. How can I describe this style kindly? Subtlety was not a consideration. Like most new editors, I applied a dizzying amount of contrast and saturation, I experimented with spot-color (cringe), and I even had my own painterly HDR phase (double-cringe). Fortunately, I still look back on images from even 12-18 months ago and cringe a little bit, and honestly, I hope that's always the case. I love learning new ways to shoot, light, and edit, and if that desire ever wanes, I'm probably at the end of this love. I'll continue this story in part two soon, when Stephanie and I were traveling wedding- and portrait photographers on the weekends while still both working full-time jobs. Thanks for visiting, and please feel free to reach out!